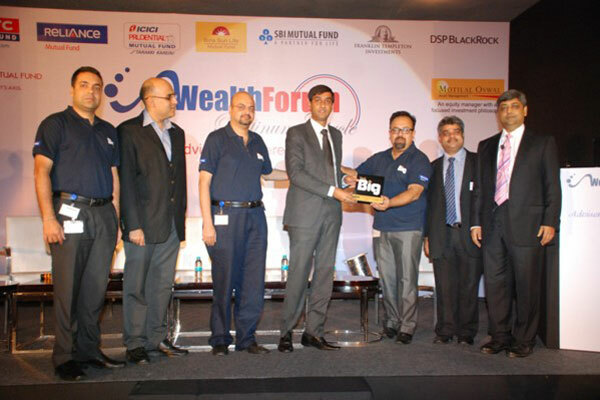 Reliance Mutual Fund and Wealth Forum launched the Think BIG advisor awards - a unique recognition of advisors who embody the spirit behind Think BIG. 7 champions were recognised in the 2013 edition for their exemplary efforts in demonstrating different attributes of Think BIG. 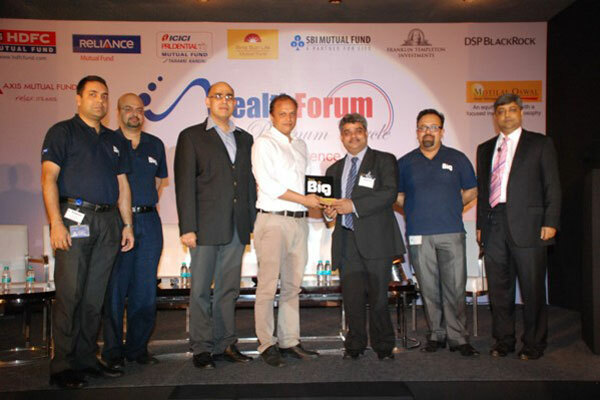 These awards mark a logical extension of the Think BIG platform that Reliance Mutual Fund and Wealth Forum launched in January 2013, to encourage distributors to Think BIG and take their businesses to the next level. 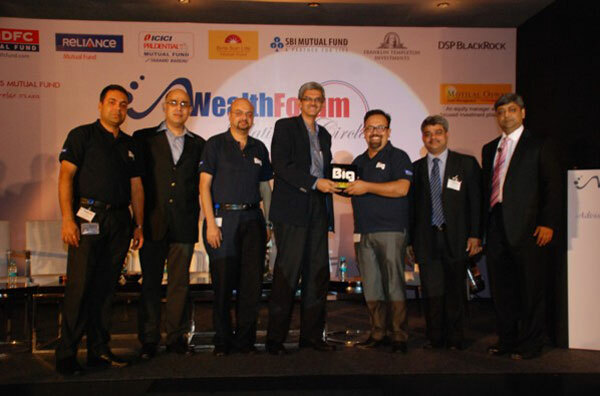 Since Jan this year, Wealth Forum has had the privilege of partnering with Reliance Mutual Fund in creating Think BIG - a platform that encourages distributors to take their business to the next level by challenging the boundaries of what they think is possible, to think beyond what most do, to think differently from conventional wisdom. We kicked off this initiative on our website's Think BIG microsite with a focus on retail debt - which remains a vast untapped opportunity for our business. Over the last few months, a number of successful advisors have shared their experiences on how they have been leveraging debt products to significantly grow their franchises. 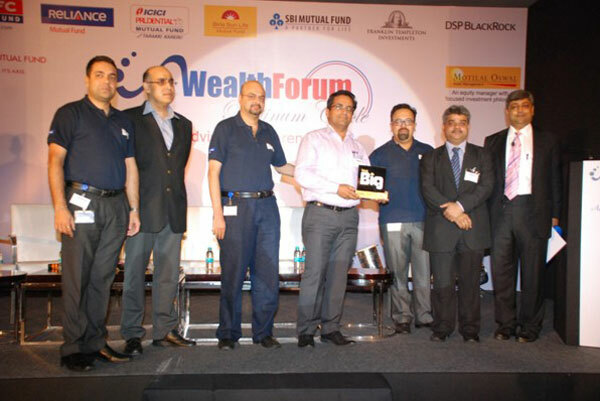 As an extention of the concept of Think BIG, Reliance Mutual Fund and Wealth Forum instituted the Think BIG awards. 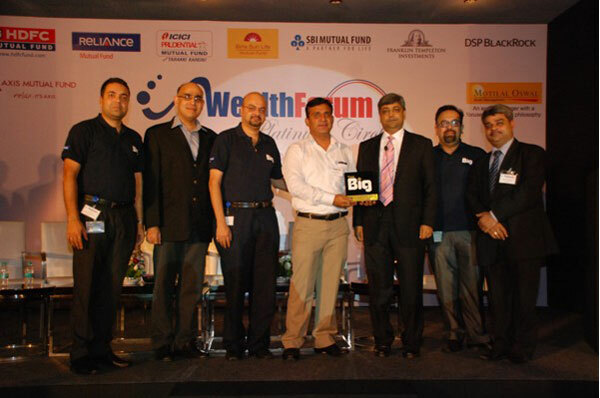 The first set of Think BIG awards were given away during the 4th annual Wealth Forum Platinum Circle Advisors Conference which was held in Mumbai on 26th July, 2013. The Think BIG awards recognise exemplary efforts by distributors across diverse parameters - all of which however have one thing in common - and that is a clear effort to Think and act on a much larger platform that most do. Each of the awardees embody the spirit behind Think BIG, in their own unique way. The first Think BIG award is for a category called Think BIG - Think Beyond. Think beyond refers to thinking and acting beyond the boundaries that most people draw and accept. Think Beyond is about challenging those boundaries and creating new growth paths beyond where most others would stop at. Our winner this year is a young man who hails from a small town with a population of 1 lakh and a total mutual fund AuM of around 20 crores. It would not be uncommon for an IFA in a market such as this to aim ambitiously for a 10% share and gun for a 2 cr AuM. A few think much bigger, and this young man is one of them. He knew that his potential far exceeded the size of his hometown and therefore moved base to the largest city in his home state, and then went on to make inroads into the largest city in his region. Today, this young man whose home market itself is all of 20 crores has a mutual fund AuM of over 140 crores and total assets of around 200 crores. The 2013 Think BIG - Think Beyond award winner : A young man from Tezpur, who has conquered Guwahati and is making deep forays into Kolkata - Pallav Bagaria of Brand New Day, Guwahati. The next category of Think BIG awards are the Advisory Solutions awards. There are three awards in this category : Retail Debt Solutions, Hybrid Solutions and Financial Planning Solutions. Retail debt is clearly a huge and as yet largely untapped growth opportunity for our business. There are some who sense the opportunity better than most and focus their energies on tapping this opportunity better than most. This award's computation is quite rigourous : for the financial year ended March 2013, we took a weighted average across 4 different parameters at an industry level : (1) Growth in debt folios, (2) Growth in liquid folios (3) Growth in debt SIPs count and (4) Growth in debt SIPs values. A true champion of retail debt is one who outruns others on all these parameters - on a pan India basis. This year's winner is one of Delhi's leading IFAs, an influential member of DFDA and somebody who has been actively advocating retail debt as a big opportunity to all members within DFDA. By winning this award, he has clearly shown that he practices even better what he preaches. 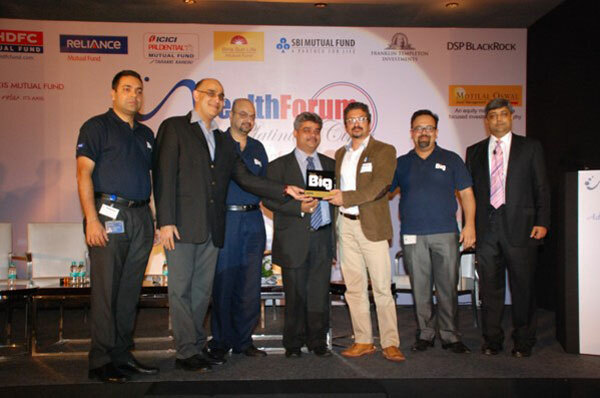 The Think BIG - Think Retail Debt Solutions winner for 2013 : Ashish Goel of Vista Wealth, Delhi. The second award within this category of Advisory Solutions pertains to Hybrid Solutions. Hybrids have for long been seen as excellent retail offerings especially as an element of asset allocation and auto-rebalancing is built into these products. Achieving deeper retail penetration with hybrid solutions is a great way to deliver a more satisfactory investing experience, which in turn is what can grow the category beyond our normal efforts. This award recognises the champion in retail hybrids - a distributor who has done better than all others on a pan India basis on hybrids. The computation for this award is a weighted average across 3 parameters at an industry level : (1) growth in hybrid folios, (2) growth in hybrid SIP count, and (3) growth in hybrid SIP values. The winner of this pan-India award for Hybrid Solutions is a Mumbai based advisor who has earned a nickname in the industry as Mr.SIP, for consistently topping all India charts of SIP sales for several years. Think BIG - Think Hybrids winner for 2013 : Vinod Jain of Jain Investment Planners, Mumbai. The 3rd award within the Advisory Solutions category is for BIG efforts on financial planning. We have a number of high quality financial planners in the country, but few who think on a scale that our winner does. We hear of planners who build businesses to handle hundreds and then thousands of clients, but here is an individual who has built his financial planning offering not for thousands of investors, but for lakhs of them. And for that, he is building a team of hundreds and eventually thousands of planners who will work closely with his firm and use the state of art financial planning platform that he has built from scratch, with no outside financial support. 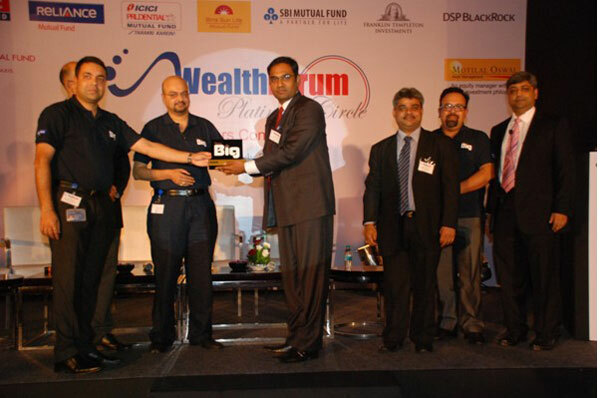 The Think BIG - Think Financial Planning winner for 2013 : Sumeet Vaid of Ffreedom Financial, Mumbai. The final set of 3 Think BIG awards recognises innovative adoption of some of Reliance Mutual Fund's pioneering efforts. 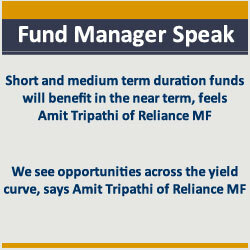 Reliance MF came up with an innovative industry first ATM card linked to its Money Manager Fund. Many advisors offered this to their clients - but one stood out for really leveraging it to grow his own business manifold. By intelligently packaging the ATM Card with accrual based funds, he created mass customised solutions that he started offering to corporate employees at the organisation level, thus winning many new clients with each deal he struck. The winner of the Think BIG - Think innovative solutions award for truly leveraging this product innovation to fuel business growth is a young man from Jaipur who has won many Wealth Forum awards and is seen as one of North India's SIP champions - Ashish Modani of SLA Investment Centre, Jaipur. Reliance MF introduced another solution - its Salary Advantage offering. Here again, many advisors embraced this and offered it to their clients, but one organisation's efforts stood out in the way they innovatively used this offering to put together a neat customer onboarding solution for salaried employees and brought in many new investors into the MF industry as a consequence of their efforts. For their innovative use of the salary advantage offering in expanding the reach of the fund industry, the award was given to one of India's finest financial planning firms - one that has been recently awarded as the best institutional financial planner in India - Lovaii Navlakhi's International Money Matters, Bangalore. The final Think BIG award was given to an IFA who has made wonderful use of the technology solutions that Reliance MF offers. He has migrated 80% of his clients to a mode where they self operate their liquid accounts using online and mobile platforms, thus freeing up his time for core advisory related efforts. The Think BIG award for techonology absorption was given to a Nagpur based IFA, Mr. Jitendra Balwani of Samma Ditthi Solutions, Nagpur.